Ten years ago, Moroccanoil pioneered a new category in the beauty industry with the iconic Moroccanoil Treatment. A decade later, we are more committed than ever to its signature ingredient and offer a full line oil-infused hair and body products—all infused with argan oil. The Moroccanoil 10th Anniversary Set was created with this journey in mind, consisting of two products to recreate the head-to-toe oil-infused experience that has become synonymous with our brand. 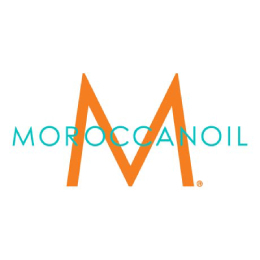 • Moroccanoil Treatment (3.4 FL.OZ. / 100 ml) – the original foundation for hairstyling that started the worldwide buzz on argan oil, and can be used as a conditioning, styling and finishing tool. Featuring limited edition gold label. • Dry Body Oil (1.7 FL.OZ. / 50 ml) – from Moroccanoil Body™, this award-winning weightless formula absorbs quickly to infuse skin with argan, olive and avocado oils, locking in moisture while soothing dry areas and helping to improve overall skin texture and tone. • Dry Body Oil: Spray a thin layer directly onto skin immediately after showering and lightly massage in an upward circular motion. Repeat as desired.